Don't wait, these camps sell out every year! Are you a high school student interested in volunteering for summer camps? Click here to sign up for an upcoming information session! Ms. Kelly Griffith is a second grade teacher at Ashton Elementary School. As a science and classroom teacher and administrator, she has worked with elementary through college-aged students for over 15 years in Delaware, Kentucky, Virginia and Florida. This summer marks Ms. Griffith's third year teaching camps at the lab. Previous camps of hers include "Art of Science" and "Makers Week". Her favorite Fab Lab activity includes designing and creating on the vinyl cutter. Want to build a foundation for robotics and engineering... while playing with LEGOs? This is the camp for you! Claire is a rising senior at Pine View School where she has recently been named the Captain of the Jungle Robotics team. 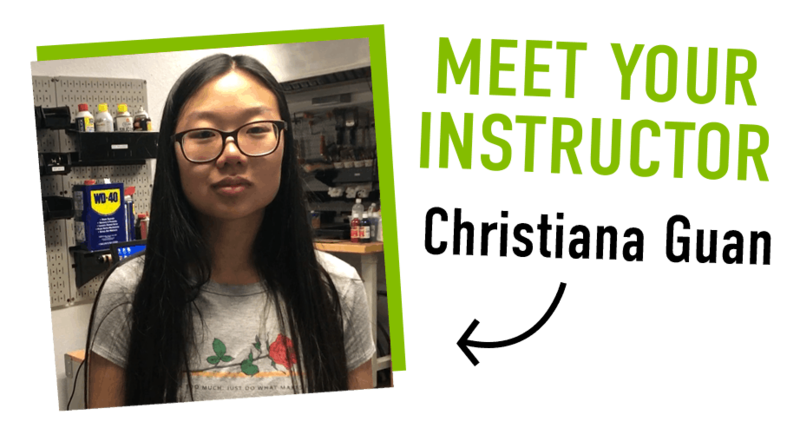 She also serves as a mentor for the FTC Robotics Club. 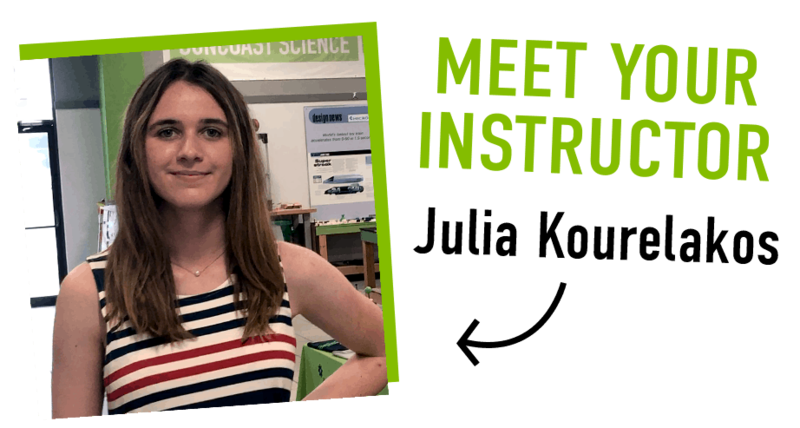 When not volunteering at the Suncoast Science Center, Claire serves in Pine View's Technology Student Association (TSA) club and as President in the Animation club. Work in two-person teams to code, design and build a LEGO Mindstorm EV3 robot. At the end of the week, your robot will compete against other teams' robots! Come ready to learn and leave a chem whiz, with a few take-home lab creations! Rocket is a current senior at Pine View School. He's founded various programs and clubs at the Suncoast Science Center including the Rocketry Club and SPEC (Student Project Evaluation Committee). Rocket has also launched his own business, Rocket Technologies LLC which has a goal of increasing STEM education opportunities through low cost 3D printing and consulting opportunities for schools and students. He will attend University of California San Diego in the fall, studying Interdisciplinary Computing and the Arts. Learn the basics of the engineering design process through hands-on activities and use of high-tech lab machines. Your new knowledge will help you solve fun challenges throughout the week and develop problem-solving and critical thinking skills that will help you far beyond summer camp. 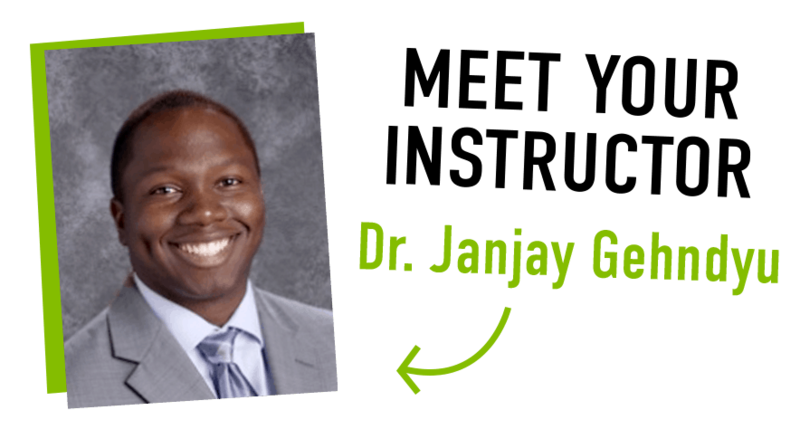 Dr. Janjay Gehndyu has taught students in Manatee and Sarasota County for 13 years, currently teaching at Sarasota School of Arts and Sciences. With extensive experience in STEM education, Dr. Gehndyu mentors students to be creative problem solvers who have the ability to overcome challenges. 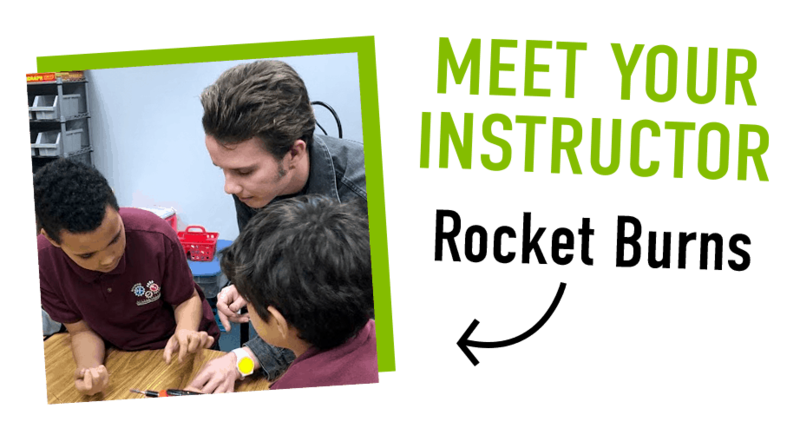 He has taught various summer camps at the Suncoast Science Center and leads innovative STEM programs at Janie's Garden and Sarasota Housing Authority. Dr. Gehndyu has a B.S. from Palm Beach Atlantic University and M.S. and Ed.D. from Nova Southeastern University. His teaching certifications include Biology (6-12), Chemistry (6-12), General Science (5-9) and ESE. Get ready to go beyond the caution tape and learn the ins and outs of forensic science! You’ll study DNA proteins through electrophoresis, examine crime scene evidence and learn how high-tech machines like laser cutters and 3D printers help with solving crimes. Forget about playing video games... let's code our own! NO programming experience needed. Julia is a rising junior at Pine View School. After taking a Java course at the Suncoast Science Center, she became hooked and self-taught herself other programming languages including HTML and CSS. 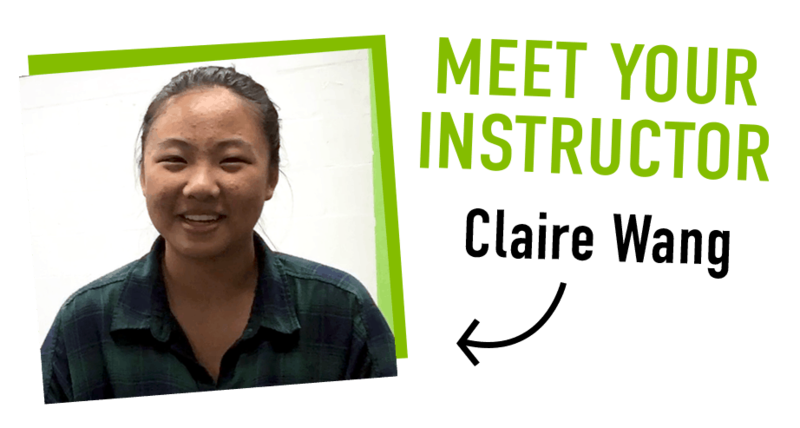 When not volunteering her time at the Fab Lab, Julia is busy with activities like Student Government, Model UN, Academic Olympics, Science Olympia. She is also part of the all-state choir group and serves on the board of the Sarasota United Way. You'll master the foundations of the Python programming language through various challenges and activities. By the end of the week, you'll have created your very own text-based adventure game... and a t-shirt of your own design! Get ready to take your idea from concept to reality! Combine simple and fun DIY projects with STEM skill-building during this special camp JUST FOR GIRLS! Christiana is a rising senior at Pine View School. She's been a Suncoast Science Center volunteer for two years where she sits on SPEC (Student Project Evaluation Committee). When not at the Fab Lab, she keeps herself busy with activities like Academic Olympics and Science Olympia. 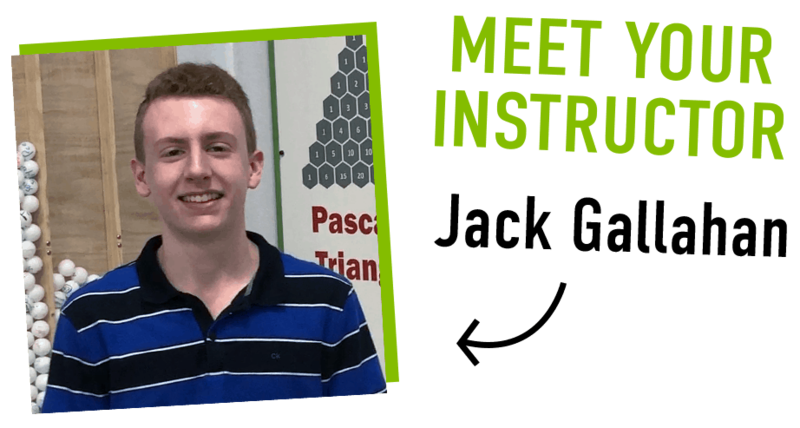 Jack is a rising senior at Pine View School and longtime Suncoast Science Center volunteer. In addition to his love for mathematics, he is an avid cellist. Jack founded the Music for Medicine program at Sarasota Memorial Hospital as well as the If Music Be The Food program. Jack is passionate about a creative approach to mathematics and problem-solving and believes this approach is critical to solve the challenges of the future. Math presented in a NEW and FUN way! Please accompany your child to check-in each day to sign them in. Check-in will take place at the main entrance located near the rear of the building from 8:00-8:30am. Parents/guardians are requested to sign their child out when picking them up at noon. If someone other than you will be picking up your child, please notify Suncoast Science Center staff at check-in. You will be asked to add that person’s name to your account. SIGNING YOUR CHILD IN AND OUT EACH DAY IS MANDATORY! For your child’s safety, do not drop your child off at the Suncoast Science Center if a staff member is not present to receive them. Photo IDs are required at check-out; please have yours ready. For your convenience, we offer curbside pick-up after camp. Please place the car sign on your dash where it is visible to staff. Our staff will radio for your camper and accompany them to your vehicle. If you forget your car sign, you will be required to park and enter the building to sign out your child. Students should wear comfortable, fitted, casual clothing and closed-toe/closed-heel shoes. Gym or tennis shoes – NO SANDALS or FLIP FLOPS. Loose clothing and jewelry are not permitted for safety purposes and long hair must be secured. Please label sweaters, jackets, sweatshirts, etc. with your child’s name. You are welcome to pack snacks/water for your child. Please use a small cooler if refrigeration is needed and remember to label the cooler/lunch box with your child’s name. Waiver, Release and Authorization forms are mandatory for your child’s participation and must be signed in your account prior to check-in on your child’s first day. If your waiver forms are not signed on the first day of camp, a staff member will ask you to log in to your account to sign the forms during Day 1 check-in. Cancellations should be made at least 14 days before camp begins. Suncoast Science Center will retain a $15 processing fee after cancellation. No refund is available for cancellations within the 14 days before your registered session begins. For each student to have a positive, safe experience at the Suncoast Science Center Summer Programs, we have established the following expectations. Suncoast Science Center staff members will discuss expectations with students on the first day of camp. We would appreciate your help in reinforcing them! We know this is going to be a wonderful experience for all involved, students and staff alike. Running inside the building is not permitted. No food or drink (including candy and gum) is allowed in class or machine area. Snacks you bring will be set in a holding area in the building to be accessed during snack time only. This ensures the equipment and machines will remain in good working order. The Golden Rule… Treat others as you want to be treated! This means raising your hand to speak, respecting others’ personal space, being considerate and helpful, etc. The misuse/mistreatment of tools, equipment and machines will not be tolerated. Stay with your group at all times. Wandering through the building unaccompanied is not permitted for your own safety. To reinforce these rules and encourage an appropriate and safe learning environment, we employ the “Three Strikes and You’re Out” policy in relation to the above expectations. First infraction: A warning will be issued. Summer Camp or Science Center staff will make sure the student understand he/she has been duly warned. Second infraction: A time-out will be issued by Summer Camp or Science Center staff. Third infraction: Summer Camp Coordinator will be called to conduct a counseling session with the student. This is the student’s first strike. After following the above policy for the second time, the Summer Camp Coordinator will counsel with the student and parent/guardian will be contacted via phone. This is the student’s second strike. After following the above policy for the third time, the Summer Camp Coordinator will send the student home. This is the student’s third strike.